I’m in Brussels, where I’m participating in an “Economic Freedom Summit” on the unfriendly turf of the European Parliament. My role was to chair a panel earlier today about whether Venezuela can recover from socialism. I obviously have an opinion on that topic, but I want to write today about some information that was shared on the panel about transition economies. Andrei Illarionov, a former adviser to Vladimir Putin, gave a talk about economic reform in Russia. I also have an opinion on that topic, but that’s also not today’s issue. 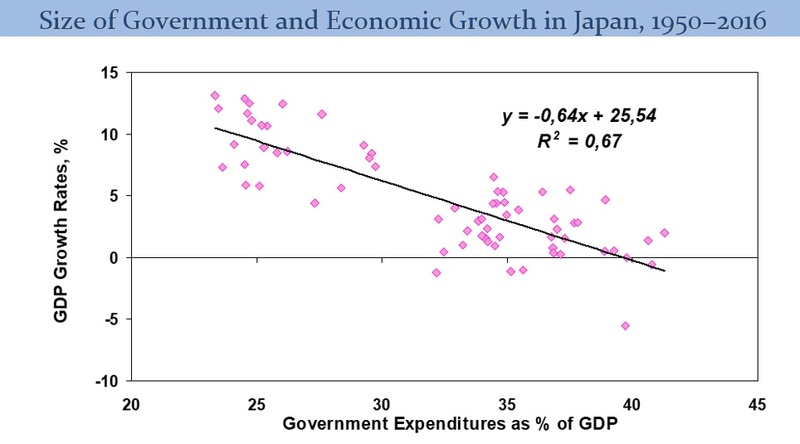 Instead, I want to share some of his charts on the broader topic of government spending and economic growth. 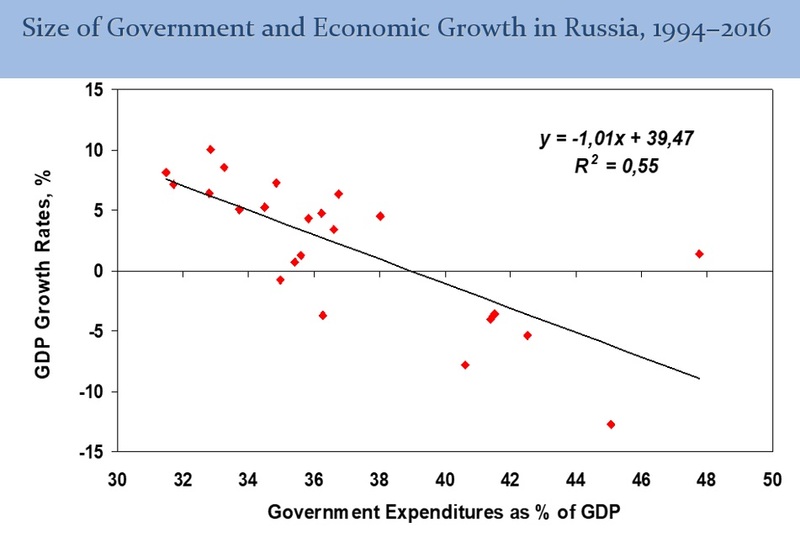 As you might expect, he showed the negative correlation between the size of government and economic performance in Russia. He also had numbers for the United States, though for a much longer period of time. He also had the data for Germany. And also the numbers for Japan. 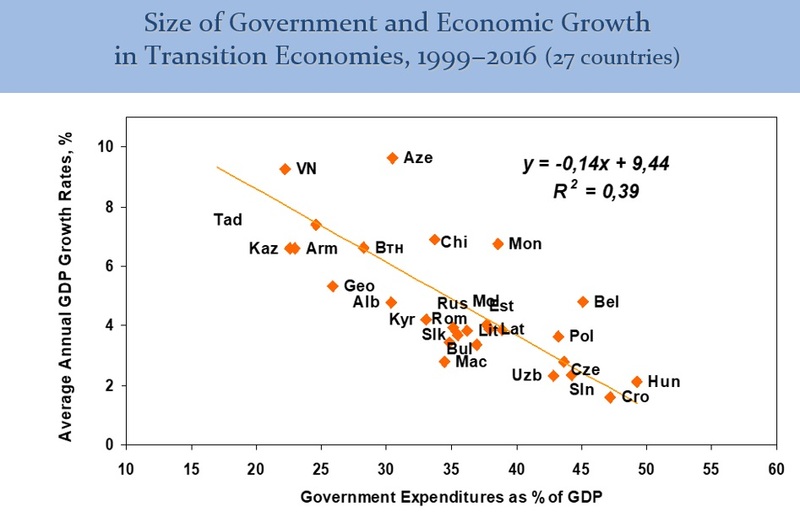 Since the panel’s main focus was countries making the transition from communism, Andrei also looked at the relationship between government spending and growth rates in those nations. 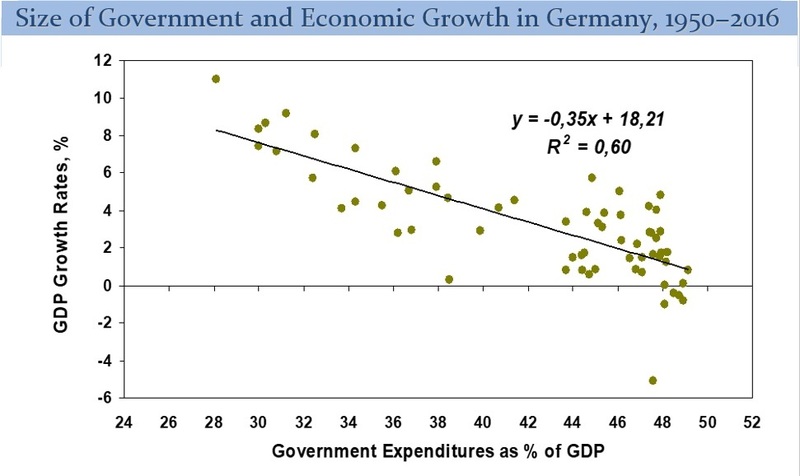 Last but not least, here are his calculations based on 56 years of data in developed countries, on the impact of government spending on economic growth. This is powerful data, even when you factor in the caveats Andrei mentioned in the discussion. For all intents and purposes, the lines in Andrei’s various charts are measures of the downward sloping portion of the Rahn Cure. I explain in this video. 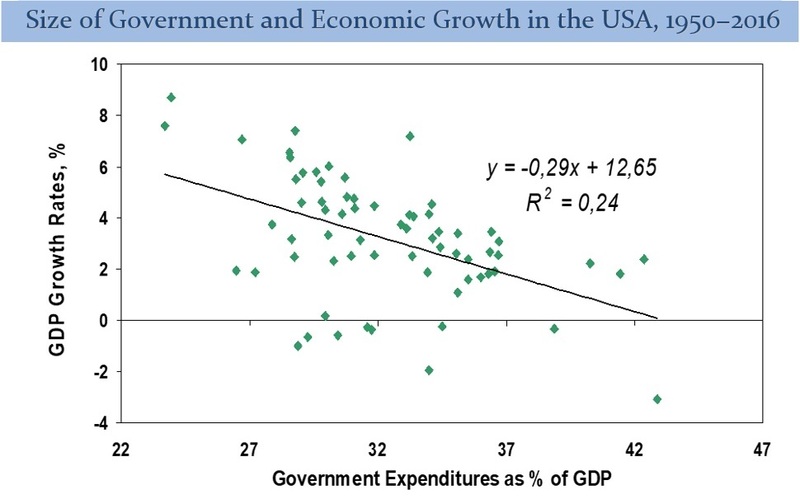 I’ve shared research on government spending and economic performance on any occasions, including some findings from a very good book published by London’s Institute for Economic Affairs. And it’s worth noting that even the left-leaning OECD has produced findings very similar to Andrei’s data. 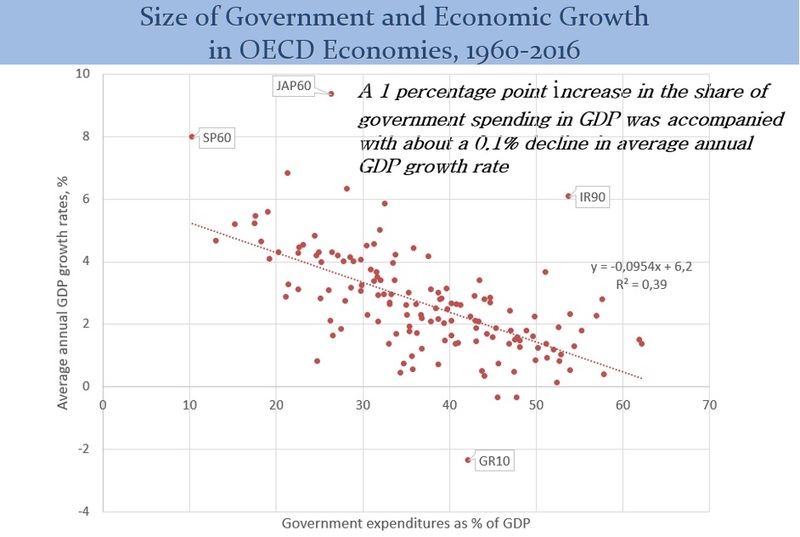 In other words, the research clearly shows that shrinking the burden of government spending is a great recipe to promote greater prosperity. Andrei’s data is simply another layer of evidence. The standard line is that government redistribution takes from the productive and gives to the unproductive. The problem with our current redistribution methodology is that it forces the unproductive to remain that way to continue to receive benefits. The purpose of a UBI is to remove disincentives. Such a change might encourage a significant portion of the currently unproductive to become productive. Won’t the next generation be more likely to opt out of a future of dependence? If the chance of eliminating redistribution is 0%, doesn’t it make sense to try a redistribution method that will contribute to national productivity and well-being?